Folks often think that digiscoping can only be done with a spotting scope, but you can also digiscope with binoculars! I like to call this "digibinning." Digibinning is super easy to do with your smartphone using a Phone Skope Adapter. All of our kits are two-piece, a phone-specific case and a optic adapter, which is either optic-specific or universal. In the video below, Cheston shows you how to hook a phone up to a pair of Vortex Viper binoculars using the Phone Skope iPhone 6 Plus Phone Case and U-1 Mini Universal Optic Adapter. This setup is extremely easy to use in the field and takes seconds to attach to binoculars. Here are the steps you should take to successfully take pictures through your binoculars with your phone. 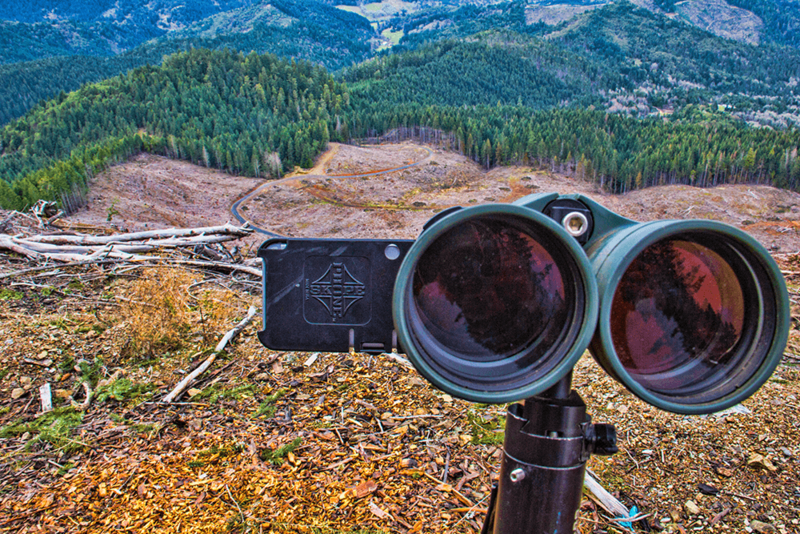 What can you digiscope through binoculars? Anything! Anything you see through your binoculars can be captured on your phone by using a Phone Skope Adapter. The Phone Skope makes it easy to take pictures through binoculars by centering the phone camera lens on the optic. You can purchase a Phone Skope through our online store or at a dealer near you. Please see our Dealer Locator and we urge you to call a dealer first to see if they have the items you need in stock. Where can I share my photos? Share your pictures and videos with us on social media with the tag #phoneskope! You can find us on Facebook, Instagram, Twitter, and YouTube! I haven’t heard about this Phone Skope before and it sounds pretty amazing and interesting. I used to go to an adventures with my friends and takes a lot of pictures through our phone, I didn’t know this one exists. Definitely I need Phone Skope in my life. It is quite amazing and incredibly the best.